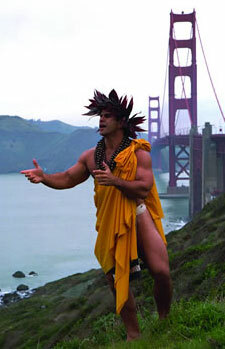 Patrick Makuakāne, a San Francisco-based kumu hula, presented Daughters of Haumea: Ancient Women of Hawai‘i at the Hawaii Convention Center as part of the Distinctive Women in Hawaiian History Program. Charlot Courtyard, adjacent to Theater 310, Meeting Level 3. Hawaiian artisan display and demonstration- caretakers of an art form for the next generation. Kapa Display - with Dalani Tanahy renowned practitioner, Aulani Disney Resort and Smithsonian featured kapa artisan. "Barkcloth- A light, strong cloth called kapa in Hawai'i and tapa in the rest of Polynesia-dominated Hawaiian textiles until contact with Europeans. Hawaiian kapa designs were among the most innovative of the Pacific Islands." (Smithsonian's National Museum of the American Indian's 2009 Hawaiian Cultural Festival printed program). The display provides an introduction to this ancient Hawaiian art form thru samples, tools, plants, and informal discussion. Female textiles from Hawai‘i's early picture bride era. Exhibit curator shares the rich stories associated with female immigrant clothing which illuminates labor history (women's work clothing & accessories), female entrepreneurial spirit (home-based dressmaking enterprises creating ceremonial bridal and obon dance kimonos, mu‘u mu‘u for casual wear), and social history as revealed in cultural & family ritual clothing (Buddhist celebrations, Boys'/Girls' Day, and funeral attire). Farrington High School students (currently enrolled and recent graduates) perform selections from the May Day and the 75th anniversary celebrations of their iconic Kalihi campus. 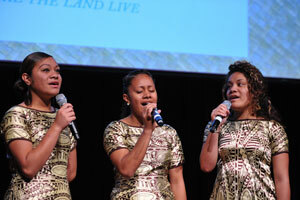 National Anthem and Hawai‘i Pono‘ī sung by T Unique, a Samoan sisters group featuring Gataiala (Ala) Mailealo, age 17; Easter Mailealo, age 18, and Lafo Mailealo, age 19. The group is wearing, puletasi, a traditional Samoan two-piece dress worn to cultural outings, church, and other significant events. Examines their experiences working with Latter Day Saints Hawaiian women such as Princess Nahinu Kamehaokalani [1849-1882] and the Women's Relief Society (Hui Manawale‘a) as a model for Queen Kapi‘olani's [1834-1899] charitable organization Ho‘oulu Lāhui Society (Association to Renew the Health & Life of the Race). Series of hula dances interpreting the roles pursued by nā wāhine Hawai‘i (native Hawaiian women) and the fundamental balance in the Hawaiian identity, in which the male and female principle lived in sacred equilibrium. The presentation opens with a portrayal of the goddess of Haumea (she who gives birth), also known as Earth Mother- the real Hawaiian Eve, as the foundation, the inspiration, the cultural backdrop for the Hawaiian women we see later in the presentation. The dances blend hula kahiko (ancient hula/pre-Western contact style) with Kumu Patrick Makuakāne's signature hula mua (hula forward) in which traditional movements are put to unexpected modern music. Ancient Hawaiian women's relevance and influence on 21st century culture & the transformation of Hawaiian practices as a living and expanding culture, inherent with co-existing tensions that together demonstrate a vigorous regional culture, rather than a provincial one. 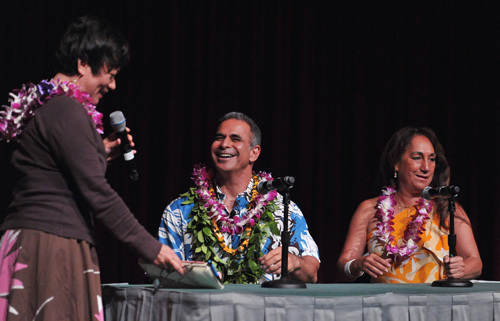 Panelists: Hawaiian cultural leaders Vicky Holt Takamine and Patrick Makuakāne. 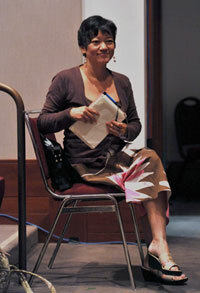 Moderator: Noelle M. K. Y. Kahanu, Project Manager, Bishop Museum. Filipina American poets give poetic voice to women's evolving lives, with complications, detours, mid-life reinventions, and triumphs. Explores the multi-decade tale of activism in Hawai‘i leading up to the 1920 adoption of the 19th Amendment to the U.S. Constitution granting women the right to vote. Highlighted early activists include Mary Tenney Castle [1819-1907], Mary Elizabeth Parker [1805-1897], and Wilhelmina Kekelaokalaninui Dowsett [1861-1929]. Examines the Hawaiian perspective of women's suffrage, including Queen Lili‘uokalani's views on women's voting rights after her reign (1893-1917). 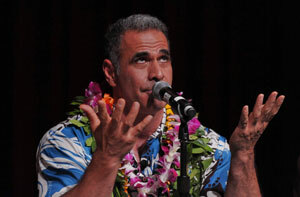 Moderator: Craig Howes, Ph.D., Director, Center for Biographical Research, UH Mānoa. Arriving with the first wave of Korean immigrates to work on Hawai‘i's sugar plantations, Dora Moon was a pivotal organizer of a modern Korean women's movement in the Territory of Hawai‘i responding to the Japanese occupation of the Korean peninsula. Following the "March 1st Movement" in Korea in 1919, which resulted in scores of Koreans killed, beaten, or arrested by Japanese military authorities, Moon organized Hawai‘i's Korean women to take action at the 1919 Women's Congress in Honolulu and helped to form the Korean Women's Relief Society (1919-1945) whose activities and convictions supported women and children in Korea. Honolulu's Pālama Settlement, Maui's Alexander House Settlement, and the Big Island's Waiakea Social Settlement are Hawai‘i examples of the settlement house movement described by historians as "one of the greatest social movements in American history" in the early 1900s. The movement brought public health nurses and social workers to impoverished communities to provide a holistic and flexible approach to strengthening families thru maternal care, nutrition, tuberculosis clinics, and primary health care. They also attracted reformist who advocated broadening education to kindergartens and vocational and industrial training. Presenters: Warren S. Nishimoto, Ph.D., Center for Oral History, College of Social Sciences, at UH Mānoa with storyteller Nyla Fujii-Babb. A film project on the topic of women in history, a junior division documentary, Roe v. Wade: A Moral Debate, advanced to 2011 National History Day competition. Presenters: Youth historians Danielle Dequito, Jessica Samante, Tamara Tsuha and their teacher Dana Goldenson from ‘Ewa Makai Middle School in ‘Ewa Beach, with introduction by Robert Buss, executive director of the Hawai‘i Council for the Humanities. Barbara F. Kawakami: A Textured Life, by Director Akira Boch, Executive Producer John Esaki, Producer Audrey Kaneko (Muromoto) and the Japanese American National Museum, 2010, 18 minutes. Screened at the 2010 Hawai'i International Film Festival and the 2011Waimea Film Festival in Kaua‘i. Portrays the life of author Barbara Kawakami, a Japanese immigrant dressmaker, homemaker, and college student at age 53 whose "second career" uncovered the fascinating and lost history of Japanese and Korean picture brides (women who arrived to Hawai‘i as part of a wave of arranged marriages to men known only through photographs and letters, 1907-1924) in plantation towns throughout Hawai‘i. 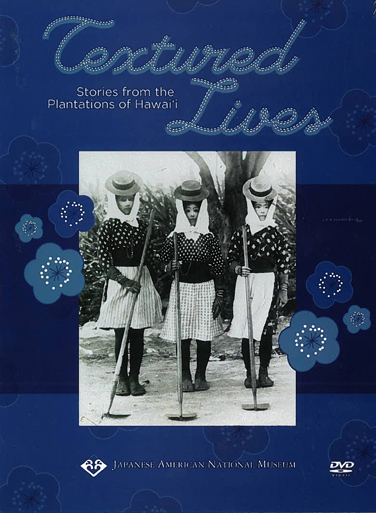 Barbara's 1995 book, Japanese Immigrant Clothing in Hawaii 1885-1941, shared the rich stories associated with the immigrant clothing. Queenie: The Spirit of a Dancer, directed by Native Hawaiian filmmaker Maile Loo-Ching, 2010, 10 minutes, featured in 2010 ‘Oiwi Film Festival. 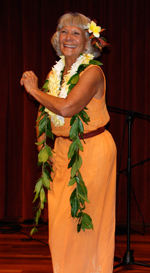 Legendary hula dancer Queenie Ventura Dowsett shares thoughts on the essence of hula. Queenie speaks about how her kumu, which includes ‘Iolani Luahine [1915-1978], passed on the knowledge of what a dancer, and a dancer's spirit possesses. Introduction by Kumu Hula Maile Loo-Ching, Hula Preservation Society with Queenie Ventura Dowsett in from the Big Island. Auntie Queenie danced with musical accompaniment by Pa ‘ahana who play at the esteemed Halekulani Hotel. Doug Tolentino played the ‘ukulele, Pakala Fernandes played the upright bass, and Kaipo Kukahiko was on the guitar. Hawai‘i Aloha, with Pa‘ahana, closing ‘oli (chant) by Ka ‘ala Estores Pacheco, Sophomore, California Polytechnic State University at Pomona, Kamehameha Schools Class 2010, chant selection Eō e Nā Mamo. Program Evaluation turn. Karen Peacock, age 62. Author & curator of the Pacific Collection at UH Library, resources editor for The Contemporary Pacific: A Journal of Island Affairs, faculty at the Center for Pacific Island Studies.